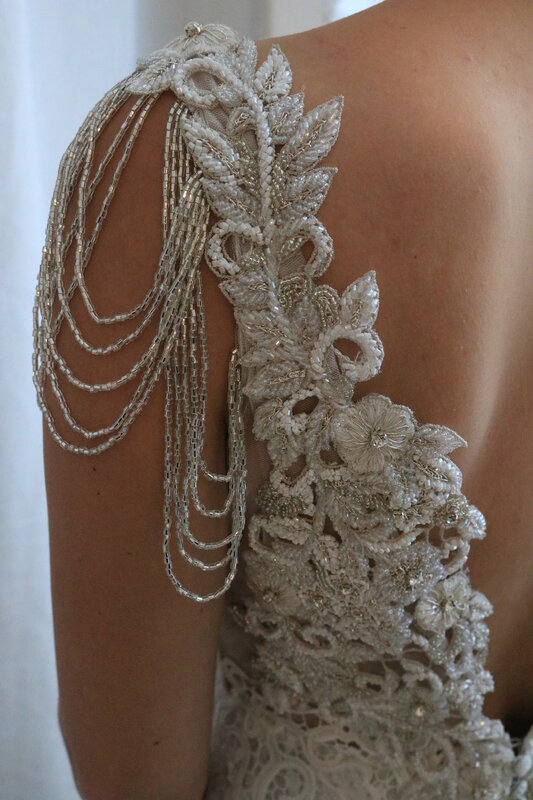 A silver-toned, floral hand-beaded embellishment sits along an open back. Lined with a double layer of 100% silk. Zip closure with hook and eye fastening with decorative fabric covered buttons. Inbuilt train that is easily bustled with a lace fabric-covered button. Lace motif detail at the tip of the train. Available in the Ivory or Bone (Bone colour pictured). 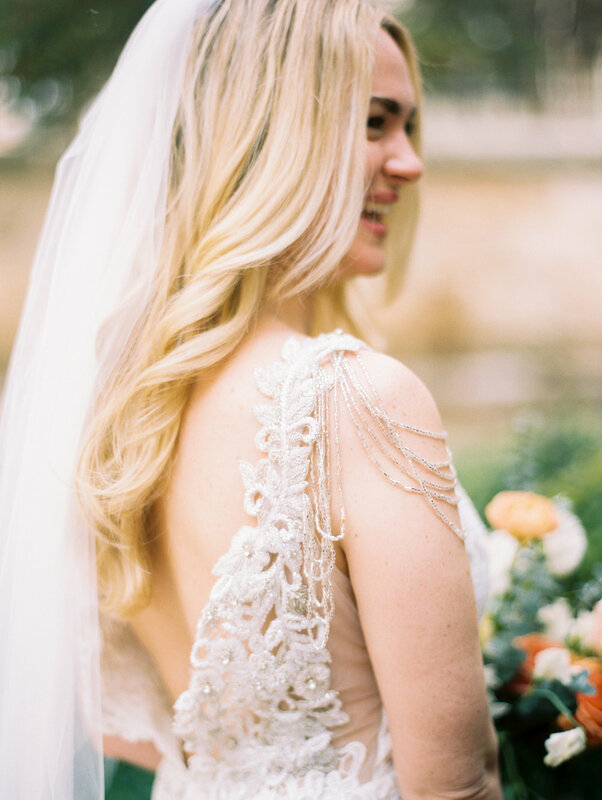 Photographed with the Pia Beaded Back Loops (sold separately). Letting us know your location will ensure we accurately calculate the shipping cost of your Saasha Dress. My name is Bernadette, and I am your personal online stylist. I will be in contact with you shortly to assist you with exciting choices like colour, style, and sizing for your Saasha Dress.